Live the Good Life in Mountain Park Ranch! Mountain Park Ranch is a beautiful, scenic community tucked away in southeast Phoenix, just west of the I-10 freeway. It's nestled in Ahwatukee Foothills, which is often referred to as the world's largest cul-de-sac! 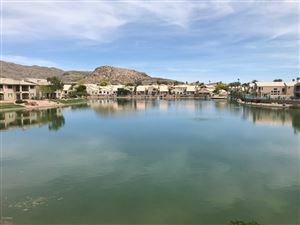 This is a family friendly community full of parks, natural washes, and mountain trails for hiking or biking. Mountain Park Ranch has three recreation centers with pools, tennis, volleyball & pickleball courts, BBQ areas, etc. Pecos Park is nearby with a pool & splash pads, dog park, skate park, ball fields, and basketball courts too! Many people seek this community due to its top rated Kyrene schools and Desert Vista High School. Mountain Park Ranch is just across the freeway from Chandler, close to Intel and other major employers, and it's only 15-20 minutes from Sky Harbor Airport. There's plenty of shopping, dining, and entertainment nearby. Come enjoy the peace, beauty, and convenience of this very special community!